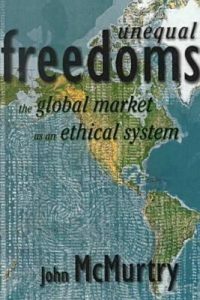 What’s Wrong with Protectionism: Answering Common Objections to Free Trade (2018) | Moral Markets? Putting tariffs on imported goods or setting other barriers to international trade can be tempting for politicians. They assume that many of their constituents believe that free trade is not fair trade and that other countries aren’t playing by the rules. This belief makes it easy for industry leaders to demand protection for their businesses and their workers — to “put America first.” But Americans should resist the siren calls of protectionism. In What's Wrong with Protectionism, Pierre Lemieux shows what can happen if they don’t. Yes, manufacturing jobs are declining in this country and have been since the 1950s. But, as Lemieux points out, that’s in large part because Americans are making more advanced products more efficiently — that’s our comparative advantage. And this is happening as less-developed countries are producing more labor-intensive, low-tech goods—that’s their comparative advantage. All parties to a trade benefit. Lemieux shows how free trade improves the lives of American consumers, especially the poor. The narrow agenda of the protectionists — to protect a small minority of producers at the expense of millions of their fellow Americans — is the wrong path for an increasingly diverse and complex economy. This concise primer shows you why. 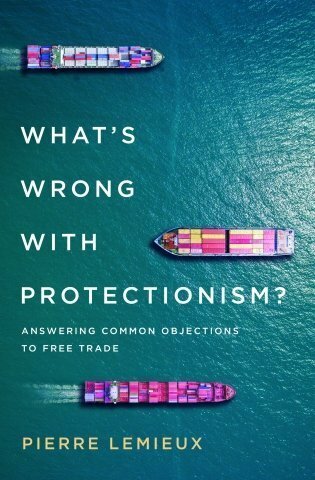 'What's Wrong with Protectionism' was published by Rowman & Littlefield in partnership with the Mercatus Center (George Mason University), a think tank that advances the free market. The Mercatus Center offers a 30% discount if you enter this code on the Rowman & Littlefield site: 4S18MERC30. "One reason for Adam Smith’s barely disguised animus toward merchants was his insight that they generally didn’t like the competition facilitated by, among other things, free trade. Far too many businesses tended to prefer the type of political favors that were central to the 'mercantile system' that was the target of Part IV of Smith’s Wealth of Nations (1776). 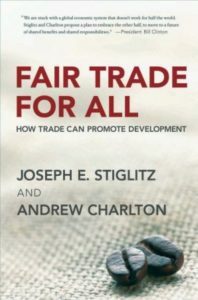 In recent decades, the arguments initiated by Smith have largely taken the form of free traders defending their views against particular protectionists and advocates for specific industries. It’s rarer for free traders to critique systematically the general case for protectionism. This, however, is precisely what the economist Pierre Lemieux undertakes in his short and very readable new book, What’s Wrong with Protectionism?. [...] In each chapter, Lemieux outlines the protectionist position and confronts it with economic theory and counterevidence. 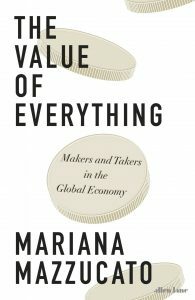 For those looking for concise and empirically informed critiques of common protectionist economic arguments, this book is extremely helpful in accurately summarizing protectionist views and how they don’t square with the economic evidence. The author’s arguments are helped by his refusal to caricature his opponents’ reasoning. He takes them at face value." Pierre Lemieux is an economist affiliated with the Department of Management Sciences of the University of Quebec in Outaouais and a senior affiliated scholar at the Mercatus Center at George Mason University. 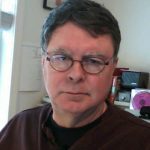 He has lectured at several universities in Canada and served as a consultant for a number of private and public organizations. Lemieux has written books on economics, public policy, and political philosophy, and he has been published in the Wall Street Journal, Canada’s Financial Post, and France’s Figaro Économie. He lives in Maine.